Captured the $5M+ Gift Tax Exclusion? You and your largest clients have only a few months left to take advantage of the greatest tax “giveaway” in recent history (and maybe for years to come) - - the $5+ million gift exemption. Unfortunately, most clients don’t like the idea of making big irrevocable gifts. It’s painfully difficult to get them to do any significant estate tax planning. Wouldn’t it be great if you could show clients how to make large gifts and still get the assets back later if they need it? Well you can with the new Have Your Cake And Eat It Too (HYCET) Trust! Join us and estate planning and asset protection attorney, Jeffrey M. Verdon, for a very special 60-minute program entitled, “Everything You Need to Know About HYCET Trusts”. How your clients may create an irrevocable “HYCET” trust and become a discretionary beneficiary of the trust - - so the client can access trust assets if he or she later needs them! How this “Have Your Cake & Eat It Too” Trust can be designed and set up so it is a completed gift, and out of the client’s taxable estate, even though the client can get the assets back! How a $5 million HYCET Trust gift can grow to $29 million in 30 years - - completely estate tax-free! How using life insurance to supercharge the HYCET Trust presents remarkable planning opportunities for the client and his or her family members! 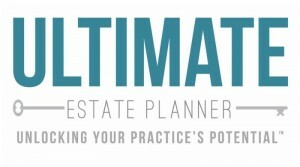 How to create significant professional planning fees for your affluent families and business owners before the end of the year. And much more about this exciting new planning technique! Jeffrey M. Verdon, Esq. is the Managing Partner of Jeffrey M. Verdon Law Group, LLP, a tax planning and asset protection boutique law firm, with offices in Newport Beach and Century City, California, and Las Vegas, Nevada, and enjoys an “AV” rating with Martindale-Hubbell. Mr. Verdon is regarded as one of the country’s pre-eminent asset protection planning attorneys. Among his many publications is his book, “Estate Planning for Women Only” and a popularly received topic among his speaking engagements. Another signature program he developed is the HYCET Trust®, or “Have Your Cake and Eat it Too,” which taps into a current tax law (expiring end of 2012) by allowing individuals to give a tax-free gift of up to $5 million (up from $1 million) per donor, and retain the ability to recapture the gift in case of emergencies. For the past 25 years, Mr. Verdon has lectured at financial and investment conferences for the high net worth investor, insurance industry conferences, and aboard luxury cruise ship investment conferences. He also lectures regularly at local and national law firms, providing accredited CLE programs on “Asset Protection: An Overview of Offshore Planning Strategies and U.S. Tax Compliance”. 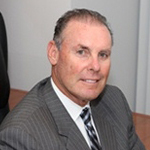 Mr. Verdon has received a number of honors over his 34-year career, including being named as one of Forbes “Top 10 Most Dependable Lawyers in California.” In 1977, he received his Juris Doctorate from Mid-Valley College of Law, Van Nuys, CA, and at the age of 22, was recognized as being the youngest law school graduate ever to pass the State Bar of California exam. Jeffrey Verdon received his Masters of Laws (Taxation) from Boston University in 1979. Mr. Verdon began practicing corporate tax law. He shortly refocused his practice areas to advanced estate planning and asset protection for affluent families and business owners, and has pioneered many successful practice management innovations, including fixed fee or value billing, a client centric/client concierge firm practice orientation and outsourcing to some of the country’s top tax lawyers enabling the firm to provide a broader level of practice competency with a minimal number of staff and lawyers.